In Congress, Republicans want to kill off the Export-Import Bank, while supporters say the agency helps business in the U.S. compete in the global economy. The Export-Import or Ex-Im Bank is a federal agency, which for the last 80 years has been the biggest means of government support for companies from the U.S. trying to expand overseas. The bank provides credit, insurance as well as other services. The bank last year alone helped more than 3,000 businesses from the U.S. export over $46 billion in goods as well as services. However, the bank’s future is now the center of a battle on Capitol Hill as Congressional Republicans, who are in control of the House, threaten to take the program apart after the operating authority of the bank expires at the end of August. The debate, once again, focuses on the role of the government in the economy as an argument is made by Republicans that the bank’s activities are nothing more than corporate welfare and best left to the country’s private financing companies. 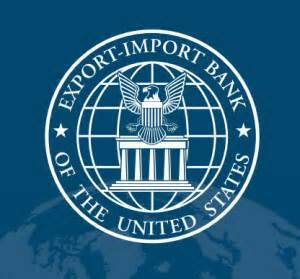 The final outcome is to affect many companies that use the Ex-Im Bank to increase sales overseas. One of the risks that affects the most companies exporting products, particularly those new in the business, is they have a hard time being paid by foreign partners or customers, so insurance to protect against not being paid is vital to their operation. The Ex-Im Bank was originally created in 1934 by President Roosevelt. It was originally a means to add jobs when the country desperately needed them, during the Great Depression. Banks worried about surviving were not apt to give credit that companies required overseas. To help the process, the Bank essentially fronts payments to the seller in the U.S. The system not only helped to accelerated trade, but also gave more Americans work and supported itself. Today, the Bank offers even more services such as insurance for customer’s transactions and loan terms of multi-years. It usually ends each year with surplus interest and fees it charges.